Classroom Observations: Purposeful and Focused Walkthrough notepads are now available. Let's talk for a minute about classroom observations. The teachers do not like them. They dread them. I have had a new teacher need her asthma inhaler just because I opened the door to her room. Others are totally fine with be observed. Then we have some who are "okay" with it but rather not know in advance. Whatever the case is, I totally understand their pain and respect their feelings. However, as administrators we are required to do classroom observations. I just wish I had thought of this notepad idea years ago. 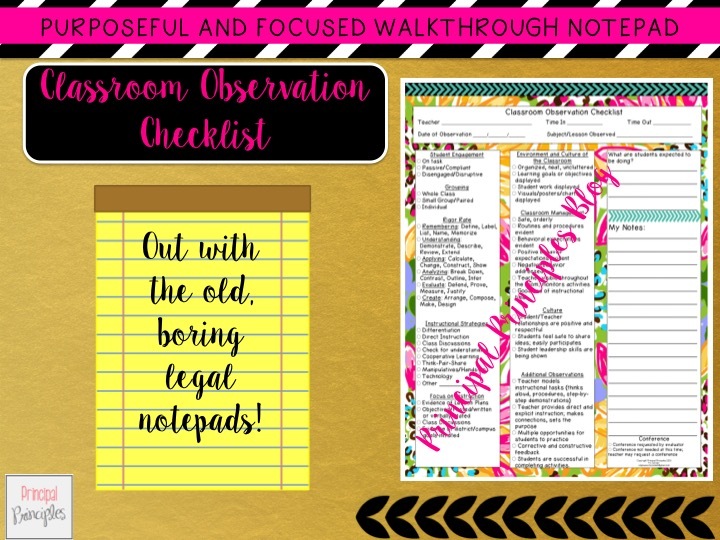 So here we are now...Classroom Observation Checklist Notepad. Can I say I'm super proud of it? So what does purposeful and focused mean? It's an organized classroom observation. The evaluator looks for specific items. It depends on your campus goals for the school year. For example, do you have a goal that teachers will implement small group instruction? Or do you have a campus goal that we will devote more writing instruction in other core subject areas? Whatever it maybe you are going in classrooms with those in mind. You are looking to see if instructional practices are being implemented and seeing the impact on student achievement. The notepad helps you go in and look for specific items and take notes. No more yellow legal pads for note taking. My notepad had random notes all over it. 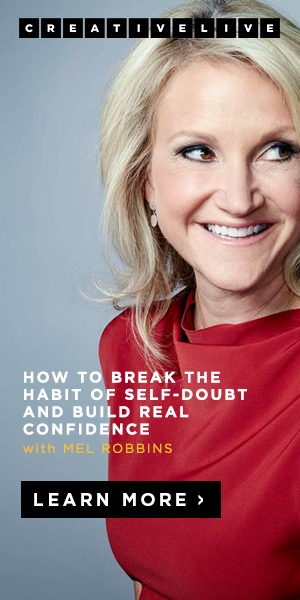 When I did this, I had to go back to my office and sift through my notes and try and make sense of it. If you are like me, I didn't just leave my office and observe one class. I observed several. The notepad helps you keep all the note taking organized. How you can use it: Take it with you. Take notes. If you use an electronic observation program, put in your notes and carry on as usual. Tear off the notes for that teacher and either keep on file for the summative or allow the teacher to have it. However you handle it, it is up to you. If you give it to the teacher, it is a great reflection piece and gives them feedback. Who doesn't want feedback? The notepad saves you time. Lots of time. You know we could all use any extra time we can find. It is clear and specific and has a common language. It is easy to understand and easy to get started. It is 8.5x11 and printed on 50 sheets of 70lb smooth white paper. It has a colorful background. 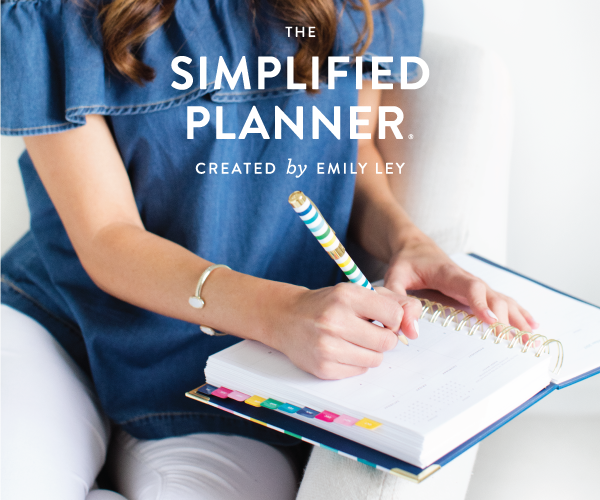 If you love Lilly Pulitzer designs, you will love this. As soon as I get your order, it will ship within one or two days. 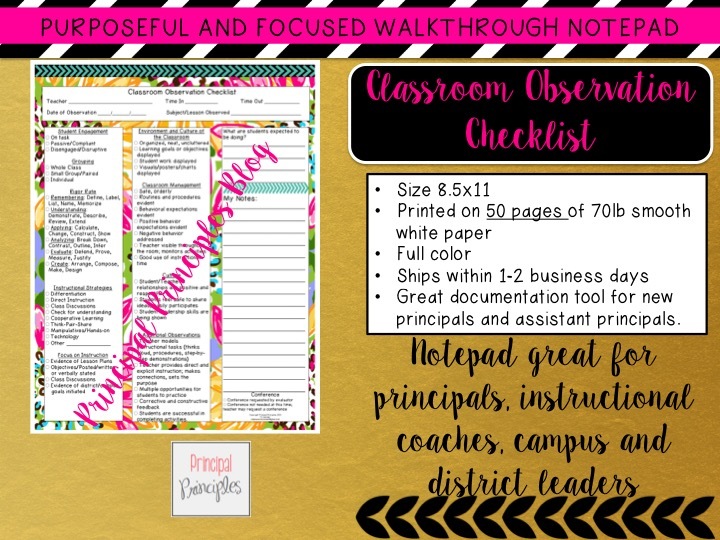 This notepad is great for principals, instructional coaches, campus and district leaders. 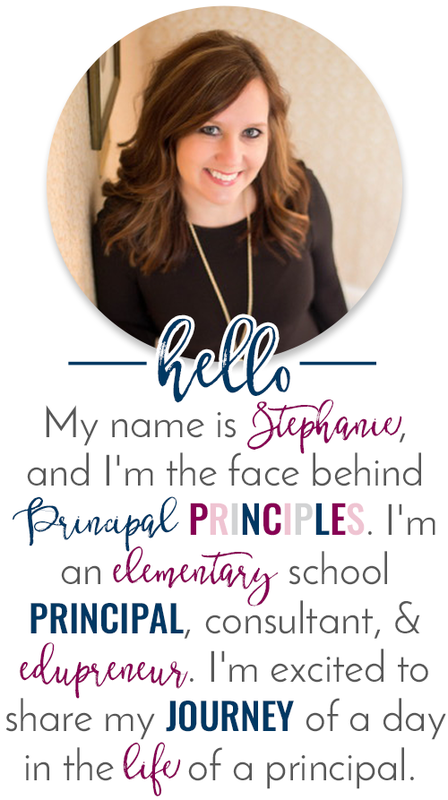 It would be a big help to any new principal or assistant principal. 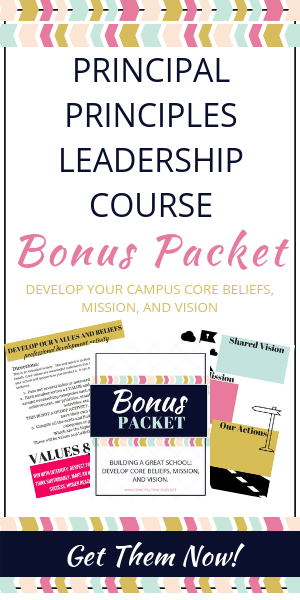 Even if you don't have campus goals identified or if you don't want to have "purposeful and focused" walkthroughs. You can still use the notepad to take your notes and keep documentation on file. There is nothing wrong with that. All of the other "stuff" can come later as you get to it. Some key points as you move into your position as a principal or if you have been one for awhile. 3. Reflect after the classroom observation. 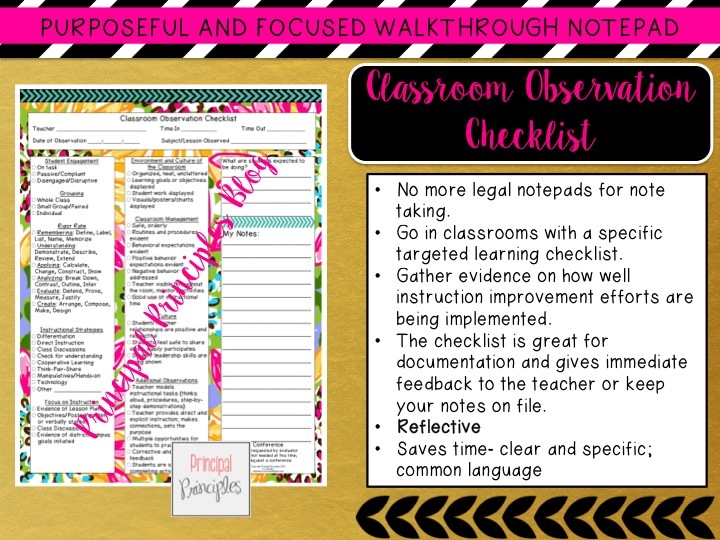 Have conversations with the teacher about what you observed or did not observe. They want feedback. 4. Be respectful of the teacher and the nervousness they have when being observed. I tell my teachers to tell me this is not a good day. I will come another day. 5. Classroom observations are not "got-ya's" on the teacher. They are used to know what is working or not working in the school. 6. 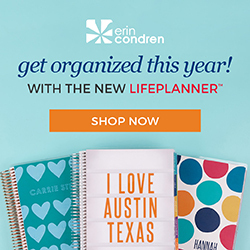 Create a calendar for the week or even an excel file to keep up with who you plan to observe or who has been observed. This will keep you on track so you don't keep going to the same people over and over. 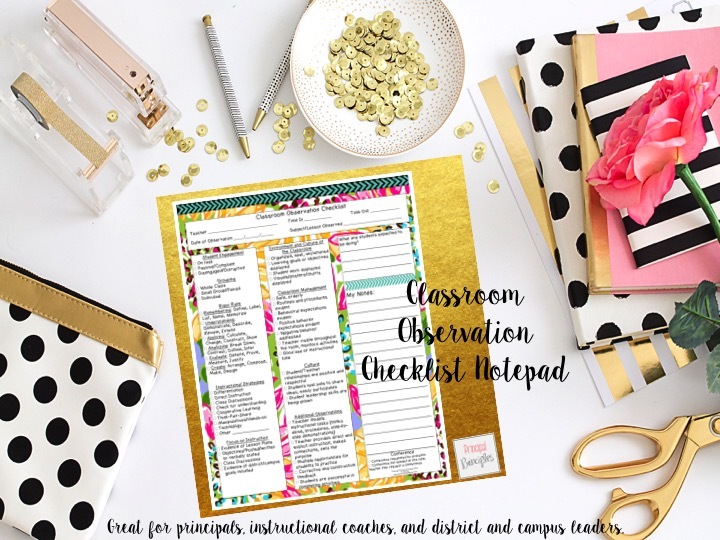 An observation schedule is so important. I had mine on a clipboard. Every Monday, my Assistant Principal and I would sit down and pick our classrooms. We were required to do 5 observations a week. He would observe five and I would observe five. Organizing like this helps us not go into the same classrooms during the week. Classroom observations can improve instruction. It can be used to determine the next professional development. 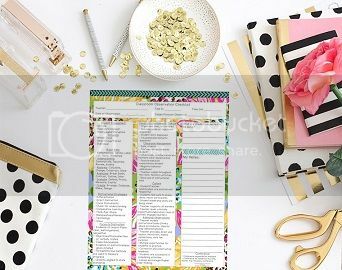 Using something a bit more systematic, like a checklist, allows you to see the strengths and weaknesses of instruction. For example, if you're never seeing instruction move past memorization on Blooms or technology is never being used even though it is available. This will let you know we need more professional development in those areas. The notepad can allow you to look at data in all the right places. 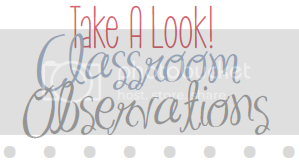 It's time to rethink the traditional classroom observations. 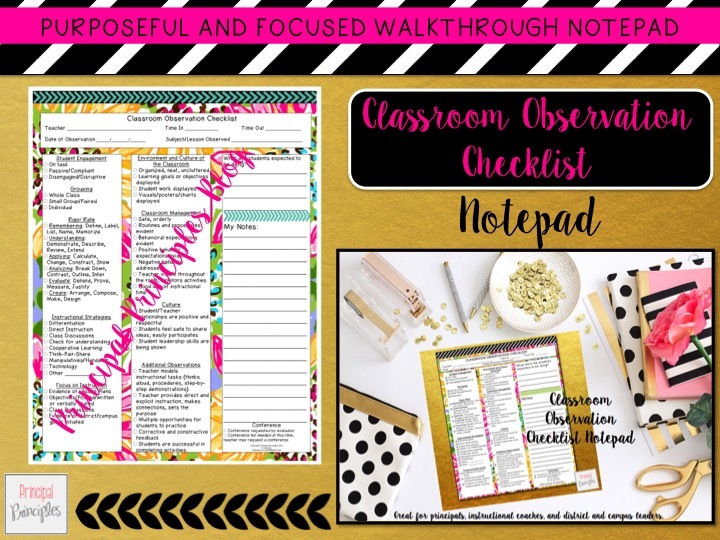 If you want to be organized this year with classroom observations, then order your Classroom Observation Checklist notepad today. Please note that Teachers Pay Teachers does not have advanced shipping options as Etsy. If you are ordering multiple copies, Etsy would be the best shipping preference.